Lucinda Franks, the first woman to win a Pulitzer Prize for national reporting, is a reporter and author whose career has spanned over three decades. 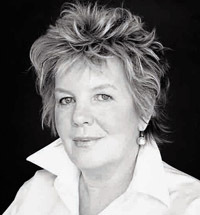 She has covered terrorism in the 1970s, the War in Northern Ireland, the Feminist Movement, presidential campaigns, and has written in-depth profiles of major political figures, artists, and writers. Franks won the Pulitzer Prize in 1971, for a five-part series entitled “The Making of a Revolutionary”, about Diana Oughton, the Weather Underground woman who blew herself up in a Greenwich Village house which radical terrorists had made into a bomb factory. Franks has written for the New York Times and contributed to The New Yorker, the New York Times Book Review, The Atlantic Monthly, The Nation, Travel & Leisure, People, Talk Magazine, and New York, among other publications. She is the author of My Father’s Secret War: A Memoir, Waiting Out a War: The Exile of Private John Picciano, and the novel Wild Apples. She has taught and lectured at Princeton University, Yale University, Vassar College, The University of West Virginia, University of St. Louis, Louisville, and Kentucky College (visiting Woodrow Wilson fellow). 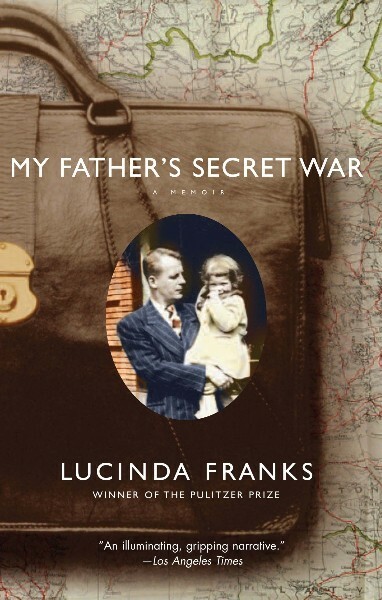 Franks’ latest book, My Father’s Secret War, is her account as both a daughter and a reporter of her investigation into the past of her father Tom Franks as she reconnects with him after decades of estrangement. The meticulously-researched story is also a poignant account of discovery and redemption: As her remote father becomes increasingly unable to care for himself in later years, Franks uses her journalistic expertise to uncover the secret details of his experience as a young Navy lieutenant. To her surprise, she learns that the reserved man she grew up with had, in fact, been a daring spy behind enemy lines in World War II as an assassin in the Resistance (and later in the US), a bomber, and one of the first witnesses to a Holocaust camp. Her investigation takes her from the National Archives and Records Administration, to the Washington Navy Yard, to the Library Congress, and back again. The real Tom Franks had been a hero who sacrificed his youth, innocence, and even his family for his country. Lucinda Franks is married to New York County District Attorney Robert Morgenthau and has two children. She lives in New York City.